One of the major forces shaping modern sport is the application of digital technology. This is transforming the mass consumption, distribution, production, and organisation of sport. A set of frameworks, theories and models for understanding these forces and transformations is presented. Nonetheless, digitisation did not create modern sport. Instead it follows a series of forces and adoptions that have already occurred. Consequently, its impacts can be regarded as evolutionary rather than revolutionary. 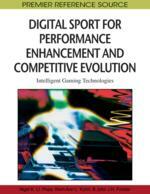 Three associated aspects of modern sport are examined in this chapter. These are: the phenomenon of superstars; the consumption of sport entertainment in the household; and the competition for the attention of consumers. The events that preceded digitisation are described and analysed, especially in the area of home entertainment, but also in the structures of sports competition, such as leagues and tournaments.